The theme of my latest after-school crafting session at my daughter's school was dinosaurs - with some sneaky letter recognition added in! 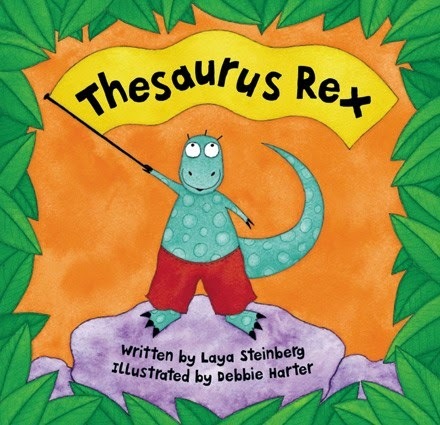 First I read two of Barefoot's dinosaur books...Thesaurus Rex and I Dreamt I was a Dinosaur. uh oh, his clothes need mending! Whoops! He's had a messy spill! he'll have happy dreams tonight. Goodnight! 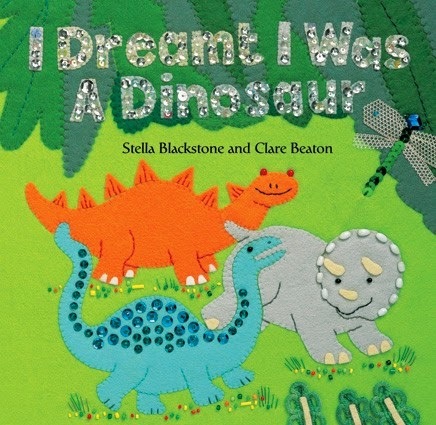 My dinosaur craft was inspired by the extraordinary fabric creations of Clare Beaton in I Dreamt I was a Dinosaur. 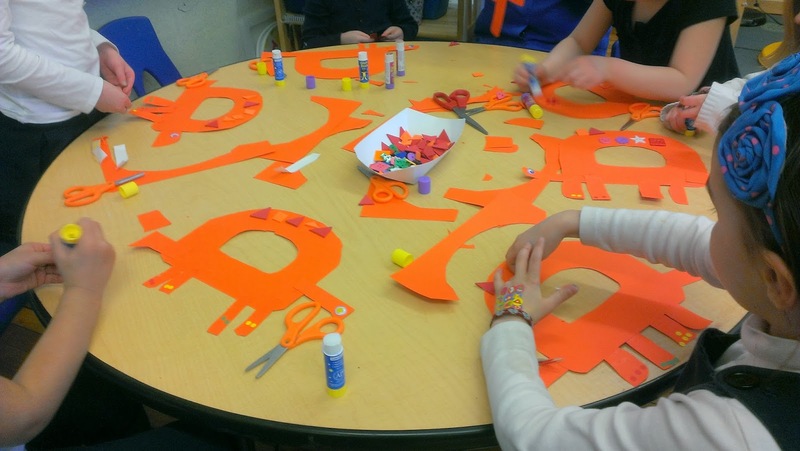 I used orange construction paper for the body - I traced a D shape and cut out the middle, but let the kids cut around the outside of the shape. Then they cut some legs, a head, and a tail, and glued it all together. 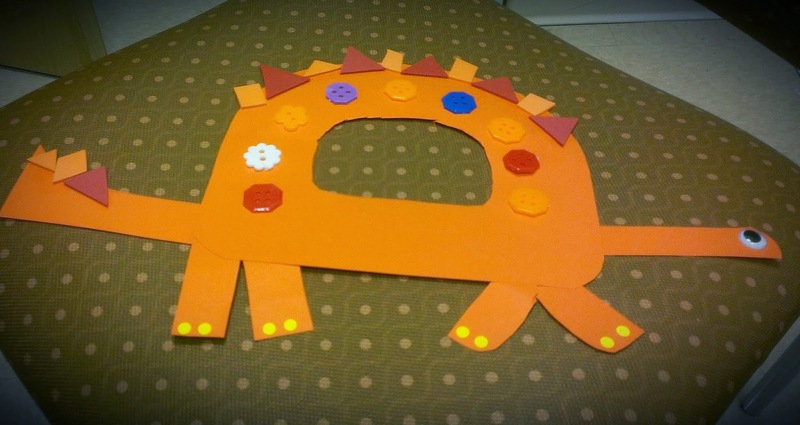 Add some googly eyes, some buttons, some small triangle shapes cut out of foam, and some small office-supply circle stickers for toe nails, and you've got yourself a dinosaur! 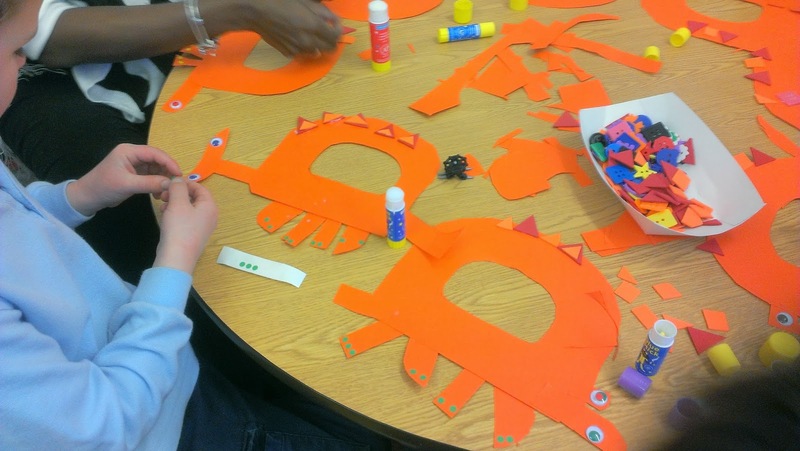 This is definitely another craft I will do again, all the kids were excited to hear stories about dinosaurs and the craft was perfect for them!